We're a team of elite creatives, designers & directors who work together to create beautiful, engaging websites and digital experiences. We take pride in delivering only the best. We're a small, friendly and talented team. We craft beautiful digital solutions for awesome clients across all the platforms. We work in the new paradigm where skilled professionals don't like to work in big companies. So when you work with us, you can be assured it is US you will be working with. Branding & design specialist with 20 + years in advertising, TV, publishing & online. Custom build and e-commerce specialist, videos and motion graphics. We're a team of professionals who are specialists in our respective fields. We are passionate about what we do. We help companies from all over the world materialize their ideas into great projects. We work in a connected world where we have access to the most talented people in their fields. We use them when we need to. You don't pay for them being here when we don't. That is why we can keep our costs down and your return on investment up. Great products need to be complemented with great branding. We will help you create the right look for business. We can also get you on the right track for easy social media communication. At the heart of everything we do lies a great user experience. We implement user friendly, intuitive booking systems for event registrations and tourism providers. Run an online store, manage your stock levels, sell digital or tangible products, plan promotions, gift vouchers… all from your website dashboard. E-commerce made easy for you. We create stunning CMS websites focusing on clever design and relevant content for effective search engine performance. Then we show you how to manage it yourself saving you time and money. With the growing ratio of people viewing your website from their phones and tablets, a responsive website is now imperative. 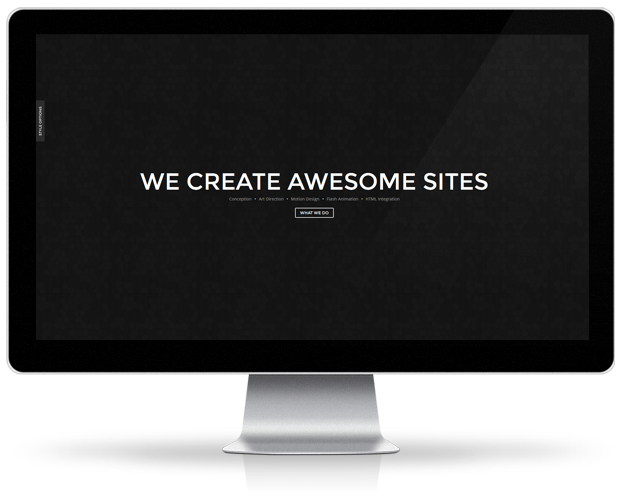 We include a responsive theme for you at no extra cost. Moving images are the leading edge in social media now. We have all the production capacity you could need and more. In a world where technology changes on a daily basis, you need a talented team to keep you ahead of the game. We have the talent and the expertise to put you on a pedestal. From a basic brochure style website to a full blown e-commerce, event registration or booking system platform – you’re in the right place for the best solution. The way you present yourself speaks volumes about your business. Let us help you to develop your brand so it cuts through to convey a consistent, effective message to your customers. Combine great design, smart functionality and clever, persistent communication methods to give your customers a great experience with your brand. We use cutting-edge technology and creative thinking to bring websites to the internet that make our clients stand out from the rest. Don’t be a wall flower. Get us on board. We made the right decision getting The Design Eye to develop our branding, as well as update and re-create our websites. Natalie went above and beyond to make sure that it was exactly what we wanted and made it all so simple. The professionalism and customer service was outstanding. Awesome to work with. Incredibly organized and patient, easy to communicate with, fantastic ideas all the way through, and not to mention beautiful work. Thanks again. I have had the pleasure of working with The Design Eye on my new website. I knew after our first phone conversation with Nat, I had the right person for the job. Nat has worked tirelessly and spent many hours designing and producing the most beautiful site. She is dedicated to her work, extremely creative, inspiring and supportive, and she has worked on my site like it was her own. I know when my site went live, it was a joyous moment for us both. The new website… it is excellent. Just what I had envisaged or even better. Feedback from a wide range of people including travel agents, guests and competitors within the industry, has been more than positive. My own assessment of the website? I am totally delighted, very happy, it is “me”, it’s vibrant, alive and it talks to you. And you couldn’t get a better person to do the job than The Design Eye. 2017 © Nat Davis t/a The Design Eye. All rights reserved.